New Roots participants work the soil and harvest greens on one of the IRC’s other farms. You may remember our post last February, Salt Lake City Seeking Sustainable Farmers as part of the City’s initiative to provide more opportunities for local farmers to produce sustainable agriculture. Our goal with the Request for Proposals (RFP) for Urban Farming was to work with an area farmer or organization to convert a formerly-vacant 1.5-acre City plot into a productive oasis. In doing so, our aim was to strengthen the community, environment, and well-being of both farmers and nearby residents alike. We’re thrilled to let you know that the International Rescue Committee was chosen! The non-profit’s New Roots SLC program, which works with experienced refugee farmers, will transform the currently unused space adjacent to the Sorenson Unity Center into an organic, sustainable, and diversified vegetable farm. The non-profit currently provides land, technical assistance, and market access for over 30 refugee farmers at other locations around the valley. We’re pretty excited about this partnership. Here’s a bit more about how New Roots works . . . Farmers Markets are in Bloom! Images from Downtown Farmers Market on Facebook. 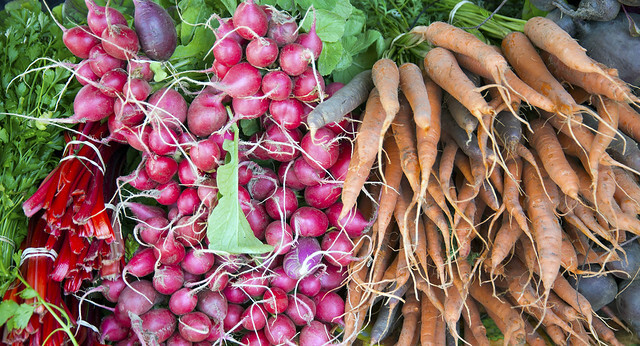 Summer is kicking into gear, and Farmers Markets are returning to Salt Lake City! 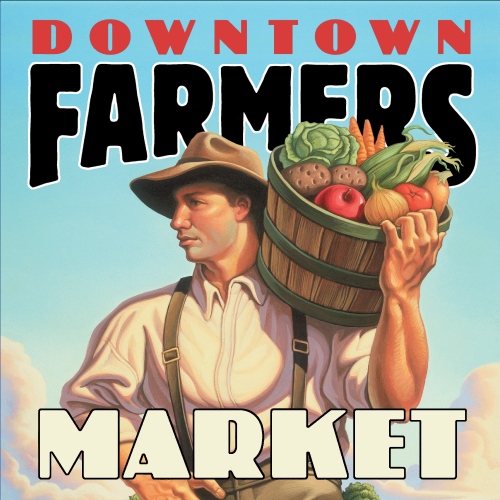 The highly popular Downtown Farmers Market opens this Saturday, June 14th at Pioneer Park. 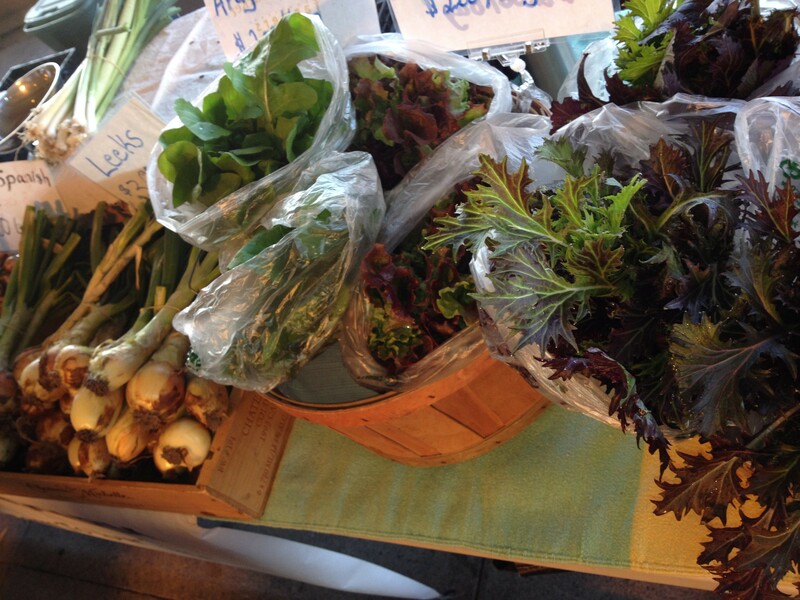 Spring and early summer crops include greens, herbs, asparagus, strawberries, kale and spinach. Baked goods, locally-raised meats, jams and spreads, sauces and local crafts are also available. SLCgreen will be there, so be sure to stop by our booth to grab information about home composting, air quality and all of your curbside sanitation services in SLC. Our booth is located on the north side of the park. And if you do stop by the market this Saturday, head to the center of the park to catch the 2014 Clear the Air Challenge kickoff event at 10 a.m. We’re gearing up for another summer of driving less, driving smarter to reduce vehicle emissions and help clear the air! Here’s our quick rundown of Farmers Market opportunities in the city. Every Saturday from June 14 until October 11 from 1–3 p.m. The Sugar House Farmers (mini) Market is in full swing right now! Stop by every Friday in June and early July for a mini version of the full market. Although the Downtown Farmers Market is in its final days of the season, another farmers market is on the horizon for Salt Lake City residents. Salt Lake City Mayor Ralph Becker and the Downtown Alliance recently announced the arrival of a new Winter Farmers Market that will take up residence in the Rio Grande Depot. Opening day is scheduled for Saturday, November 9. The Winter Farmers Market will take place every other Saturday from 10 a.m. to 2 p.m. through April 26. Officials are heralding this as an important step towards a year round market, similar to those seen in Seattle, Portland and Madison, Wisconsin. Roughly 50 vendors are slated to participate, offering fresh produce, meat, bread, honey, eggs and other items.